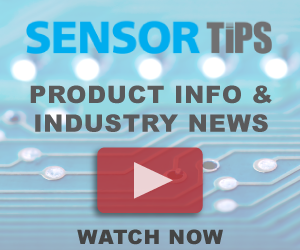 Cadence Design Systems, Inc. (NASDAQ: CDNS) and CyweeMotion Ltd., today announced that CyweeMotion’s Sensor Fusion Hub software has been optimized for Cadence Tensilica Fusion digital signal processors (DSPs). This solution delivers a fully optimized, low-power sensor fusion platform for seamless integration into mobile or wearable devices. The Sensor Fusion Hub technology from CyweeMotion is sensor independent, and it offers sensing capabilities critical to today’s always-on, context-aware smart devices. The key features include providing motion sensing, pedestrian navigation (PDR), gesture recognition and contextual awareness for mobile applications. These functions require the target device be in an always-on mode, which, if run on a general-purpose application processor or DSP, can often result in significant battery drain. The availability of CyweeMotion’s technology on the Tensilica Fusion DSP allows designers to take advantage of the processor’s ultra-low-energy capabilities without compromising performance. The Tensilica Fusion DSP is a licensable semiconductor intellectual property (IP) core based upon the Xtensa processor architecture, and is highly configurable and scalable for low-energy Internet of Things (IoT) applications including always-on listening.